"Considering the feminine voice and the male voice, there were moments I thought they were so close. And she came up with all those really pretty harmony parts at the end. She ad-libbed that. It was amazing to be there with her and just to observe at such close range how she worked." Interesting if less gracious comments are offered by producer Ben Sidran in his biography On The Rim Of The Well: A Life In The Music. Sidran states that the session took place in the summer of 1992, when Lee arrived at the studio "in wheelchair, in such fragile health that she clearly could not sing the way she would have liked." Sidran adds that Lee "insisted she wanted to sing the duet with Michael live," an idea that Sidran did not find worthwhile. He remembers telling Franks (presumably outside of Lee's listening range): "We are going to have to spend a lot of time getting her parts right, and Michael, you can do yours later. So I'm going to go out there and tell her I have some technical problem in here and that it isn't possible to do both vocals at once." Sidran then approached Lee, and allegedly told her: "Miss Lee, that was lovely but could I ask you to sing that live again because we're still having problems in here." The producer says that he kept repeating the same words "for an hour." Sidran continues: "she was a real trooper and when it was over, we had the makings of a very poignant vocal track." He professes to have spent "the rest of the day [after lunch] sampling, timing and editing each of her words, syllables, and phonemes, taking extra care that none of the sutures would show, giving her vocal the greatest facelift known to man or woman. It was a prime example of what the technology was for: creating a new reality." The producer concludes this rather self-congratulatory account by calling the end result "tragic and bittersweet." The basis for the dating that I have assigned to this session's master is a San Francisco Chronicle article, published on July 25, 1993, in which reporter Lee Hildebrand states that Michael Franks and Peggy Lee recorded their duet "in New York last August." As mentioned in the preceding session, there is also an Associated Press article published on September 14, 1992 in which it is mentioned that, during her stay in New York, Lee sang "a duet and made a video with Gilbert O'Sullivan and also recorded with Michael Franks, at their request, songs each of them wrote." The Associated Press quote points to the possibility that Franks and Lee recorded not only his own composition "You Were Meant For Me" but also one or more of Lee's own lyrics. But, if Franks recorded any lyrics penned by Lee, whether with her or solo, the recording(s) must be unreleased, or must have been erased. My source for this session's personnel is the booklet of the only release of "You Were Mean For Me" to date. In its booklet, Reprise CD #9452274 provides separate personnel credits for each track. (This is a fortunate turn of events. Listing only a collective personnel could have been another course of action.) Two of the tracks, both duets, feature the same personnel. In addition to "You Were Meant For Me," the album's other duet is "Keeping My Eye On You," co-interpreted by Franks and Dan Hicks. Click on the above-seen arrowhead if you want to see a longer list of issues featuring this session's recording of "Can't Think Straight." Raymond Edward O'Sullivan is the birthname of Gilbert O'Sullivan. Raymond O'Sullivan is also the name under which BMI lists his compositions. The album credits for CD Sounds Of The Loop state that it was recorded "at Val Au Bec, Jersey," and at "C.I. Gateway, Kingston, Surrey." As with the aforementioned record dates, these recording locations are not likely to apply to "Can't Think Straight" -- not, at least, to Peggy Lee's vocal contribution. While no specifics about O'Sullivan's part of the vocal has been forthcoming, there is clearer information about the parts of "Can't Think Straight" that feature Peggy Lee. We know that those parts were recorded in New York and that O'Sullivan flew to the city for the occasion (August or September 1992). In a BBC radio interview given many years later (July 2007), O'Sullivan himself confirmed that he was present in the studio when Lee recorded her part for the number. We also know that the pair was together when they worked on a video version of "Can't Think Straight" (for which they might have perhaps mimed to an already recorded master). He identified the Hit Factory as the studio where all those activities took place. Still further, at some of his concert appearances, O'Sullivan has told his audiences that he and Lee spent two days together during the recording process. The singer-songwriter's confirmed presence next to Lee in the studio does not necessarily mean that he too recorded his part of the vocal on the same day. According to an O'Sullivan fan who posted a comment at an online fansite, there is another radio interview in which O'Sullivan clarifies that he and Lee actually sang their parts separately. The parts were then blended in the studio. Although I have no further knowledge or awareness of the interview in question, I am inclined to trust the claim made by this O'Sullivan fan. It certainly agrees with my impression that the same O'Sullivan vocal is heard in the four versions of the song that will be discussed below. Sounds Of The Loop (Park CD #19) is my only source for this session's personnel. The CD actually lists a collective personnel, leaving us to assume that it applies to all of the songs in the album. Given the fairly large number of participants listed, that assumption is probably incorrect. Since it is unclear which of the individuals listed took part in the making of "Can't Think Straight" (other than O'Sullivan and Lee, of course, as well as concertmaster Laurie Holloway), the personnel entered above should be considered tentative. 1. The Many (Fe)male Faces Of "Can't Think Straight"
"Can't Think Straight" was originally recorded for inclusion in Gilbert O'Sullivan's CD Sounds Of The Loop. Curiously, that CD has been issued in four editions. All editions feature the same personnel and the same songs, except for "Can't Think Straight," which becomes a partially different number in every edition. While the exact same O'Sullivan's vocal is heard in all of them (and ditto for the instrumentation playing behind it), the number's guest vocalist changes from one edition to another. (In the case of "Can't Think Straight," denomination such as "guest vocalist" or "cameo partner" strike me as more appropriate than "duet partner," because the non-O'Sullivan parts of the song are supplementary, or subservient to his own.) As will be detailed below, each of these four editions of the album features a guest artist who has been obviously chosen on account of the international market to which the given edition caters. Three of those guests sing in their respective native languages; also, the lyrics that they interpret are not the exact same ones in each and every case. O'Sullivan's two other guest partners were Kirsten Siggaard, from Denmark, and Silvia Tortosa, from Spain. The CD editions that contain their respective versions were released in 1993. On a Bcn Records CD, Tortosa sings her part in Spanish; on Scandinavian Records CD, Siggaard sings hers in English. Furthermore, the set of lyrics sung by Tortosa is not only in Spanish but also entirely different from the set sung by Siggaard and Lee. As to how the partnerships with O'Sullivan came to happen, little to no specifics are provided by the liner notes and interviews which I have consulted. It seems likely that most if not all of O'Sullivan's partners recorded their respective parts separately. In Lee's case, O'Sullivan appears to have made a point of coming to the studio while she was recording her part. A video performance of "Can't Think Straight" by Gilbert O'Sullivan, Peggy Lee and the rest of the personnel was taped in 1992. O'Sullivan has said that the taping stemmed from his own desire "for a video just to have for keepsake." Around 2009, O'Sullivan began to play that video in his concerts, prefacing it with some general comments about his encounter with Lee. At the original time of this writing (April 2011), YouTube was offering two clips in which this part of O'Sullivan's concerts is shown. One of the clips is worthwhile because it includes O'Sullivan's introductory commentary about his meeting with Lee. Unfortunately, however, the clip's picture quality is blurry. Even more regrettably, the person who taped this video segment fully concentrated on O'Sullivan's appearance, at the expense of Lee's. As a result, her cameo (already a brief one, since her lines are relatively few) gets shortchanged. The other YouTube clip lacks the introductory commentary but has better quality and, best of all, shows Lee's videotaped appearance in full. It should be clarified that Park's CD single "Can't Think Straight" actually contains not one (nor two) but three songs, all of them written by Gilbert O'Sullivan: "Can't Think Straight," "Sometimes," and "Divorce Irish Style." The fine print on this CD single has already been mentioned above; the songs are identified as being "from the forthcoming album Sounds Of The Loop. In the single's front cover, "Gilbert O'Sullivan & Peggy Lee" are jointly identified as the featured act, and the two artists are seen together. Nevertheless, Lee's involvement is restricted to the titular number. The more accurate billing for Lee would have thus been that of "guest artist," since the other two songs feature O'Sullivan alone (naturally). To see photos of the single, go to the Gilbert O'Sullivan section of this alphabetically sequence guest artist page. The CD Sounds Of The Loop was first released by Toshiba EMI in Japan, then by Park in Great Britain. As previously mentioned, the Japanese edition contains O'Sullivan's "Can't Think Straight" version with Takao Kisugi. The Park edition contains, on the other hand, two versions of "Can't Think Straight": the duet with Takao Kisugi (track #12) and the duet with Peggy Lee (track #6). There are two other editions of the CD, both from 1993 and both including the song with partners other than Lee. Finally, a new CD edition with bonus tracks was released in 2013; that expanded edition of Sounds Of The Loop contains three of the four versions of "Can't Think Straight," giving priority to the one featuring Peggy Lee. Further adding to the confusion surrounding this Rhino compilation is the fact that the first pressing of the 1997 edition erroneously included the Kirsten Siggaard duet version of "Can't Think Straight." According to word of mouth from knowledgeable O'Sullivan fans, a very mortified O'Sullivan requested a recall of that first pressing. The second pressing is the one said to contain the Peggy Lee version, and generally available at most commercial sites. Various sources erroneously report that the 1998 Japanese CD Love Songs (Kitty Records Ktcm 1132) includes the duet version by Peggy Lee and O'Sullivan. This anthology of O'Sullivan ballads contains instead the version with Takao Kisugi. 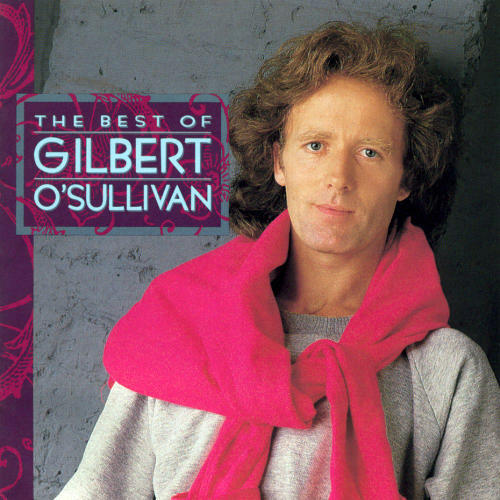 In the year 2015, Gilbert O'Sullivan released a collection of self-penned songs with a latin lilt, which he titled Latin Ala G. Peggy Lee's latinized work (particularly in the albums Latin Ala Lee! and Olé Ala Lee!) was O'Sullivan's inspiration for the album's concept, title, and artwork. "I regard Peggy Lee, along with Ella Fitzgerald, as the greatest female interpreter of song," O'Sullivan is quoted as having said. In an interview published by Ireland's Own on its June 12, 2015 issue, he added: "It was an honor to duet with Peggy in the early 1990s, and my new album is a homage to her. The cover of the album is a reproduction of one of her albums in the 1960s, Latin Ala Lee. On it she is pictured linking arms with two male matadors. I'm doing the opposite on the new album cover, linking arms with two female matadors." For a look at the O'Sullivan album's cover, check the page that this discography dedicates to Peggy Lee's guest appearances in other artists' albums, section VII. Peggy Lee's studio sessions for Chesky Records were probably conceived as an attempt at recreating the magic of the very successful concerts that she had been giving at Club 53 during the month of August 1992. Accordingly, the songs chosen for the album were culled from her nightly repertoire at the club. Perhaps fatigued after more than a month of concert performances, or perhaps beset by her various ailments, the seventy-second-year-old was not in optimal vocal condition at the time of these sessions. Acquaintances of the singer have privately reported that Lee wished to leave the album unreleased, but her contract commitment prevented any steps in that direction. Despite her misgivings about the quality of the work that she had turned in, Lee felt grateful to Chesky Records for their interest and for the opportunity that the label's owners had given to her. In the discographical notes of the CD Moments Like This, BMG Studio B is identified as the location at which the album's masters were recorded. However, another Chesky CD would seem to suggest otherwise. Live From Studio A is a various-artists compilation whose tracks were all supposedly recorded in RCA's Studio A. Among those tracks is Peggy Lee's rendition of "Why Don't You Do Right? ", taken from her Moments Like This album. In other words, the two aforementioned CDs list a different location for at least one of Lee's masters. I have put more trust in the location stated by the Lee CD. The compilation's implicit claim strikes me as a mistake that stems from a faulty deduction. As indicated in the compilation's liner notes, RCA's Studio A was often used by Chesky, beginning with the label's debut session in November 16, 1988 and ending with a date that took place shortly before April 1, 1993, when the studio closed for good. Based on this general fact, the makers of the CD have apparently taken for granted that all Chesky masters recorded between 1988 and early 1993 originated at Studio A. The Moments Like This CD evidently shows that such was by no means always the case. Incidentally, the sound quality of the Lee track is much improved in the 2006 compilation. Two bassists are listed in the personnel credits for the CD Moments Like This. Steve Laspina played bass on "I Don't Know Enough About You," "Moments Like This," "Mañana," "Amazing," and "Always True To You In My Fashion." Jay Leonhart's bass is heard in "Why Don't You Do Right?," "(Our) Love Is Here to Stay," " 'S Wonderful," and "Do I Love You?" Underlying this Laspina-Leonhart distribution is the fact that the album was recorded over two days. Laspina was presumably available one day, Leonhart the other day. A keyboard synthesizer is played by Tony Monte in "(Our) Love Is Here to Stay," " 'S Wonderful," and "Amazing." 1. "Peggy Lee's ... voice is a mere warble on this recording. But Lee's inimitable style is very present. Listen to her phrasing on [The] Folks who Live on the Hill and 'S Wonderful. The selections and musicians, led by Mike Renzi, are first rate." 2. "[T]he musicians are great and Peggy delivers some moving treatments on some of these songs, i do wished [sic] they had recorded Peggy live because i heard her sing in 1994 and she sounded wonderful!!" 3. "[S]he sounds barely awake and definitely not on key. In the the [sic] rare moments when she is animated, she is hardly recognizable as the Peggy Lee of years earlier. Also, the orchestration is virtually elevator music." 4. "I'm glad I ignored the critical pans of this, Peggy's last recording session. Indeed, she does sound older than her 72 years, and neither the breath support nor the enveloping breathiness are there any longer. The lyrics are delivered almost sotto voce -- an expiring sigh but with dead-on pitch and communicative story-telling. Don't come to this recording with preconceptions about how Peggy Lee should sound, and you'll discover some compelling revisions and revelations." 5. "If I'm not mistaken, this was Miss Lee's final recording. Unfortunately, her performance is not memorable and the sound quality of the disc is terrible." For this discographer and fan, Moments Like This is the least successful of Lee's albums. I believe that the project's shortcomings stem from both the singer's diminished capabilities (vocal fatigue, poor health, aging of the vocal instrument) and the label's modus operandi. Though highly noteworthy in and of itself, the label's recording methodology did not suit the state of the singer's voice at this particular point in time. Like other Chesky CDs, the back cover of Moments Like This bears the legend "[r]ecorded using minimalist miking techniques and without overdubbing or artificial enhancement to ensure the purest and most natural sound possible." According to a biographical statement of purpose in the website of audio mastering engineer Bob Katz, he "specializes in minimalist miking techniques (no overdubs) for capturing jazz and other music that commonly is multimiked." In assistant producer Steve Guttenberg's liner notes for the anthological CD Live from Studio A: The 1988-1993 Chesky Sessions, the commentary about the label's recording methodology is further expanded: "Instead of cloistering them in an isolated booth, we'd have [singers] Ana Caram, John Pizzarelli, or Kenny Rankin out in the studio, singing into the same AKG mike that we used for the rest of the band." As someone who preferred to carry her own mike, and who appreciated isolation booths because they allowed her to turn in more intimate-sounding interpretations, Lee might have objected. "The sound was committed to two-track analogue and digital tape live (without any overdubs)," continues Guttenberg, "so there was never any chance to 'fix the mix' ... The sound we heard over the monitor speakers was pressed onto the CDs." Producer David Chesky indeed prides himself on following a purist approach to recording. When interviewed in 2004 for the webzine Allaboutjazz.com, he elaborated on his method as follows: "It’s sort of like black and white photography. We take a picture of an event and capture it in a moment of time. Through a clear lens, not through a rose-colored lens. We don’t sit there and say, OK, let’s overdub this. Call this guy in ... A recording is supposed to capture that moment in time. That’s what it’s supposed to do. That’s our mantra. We stick to that. Some people like it and some people don’t ... I worked for years in the studio, right? They always had 9 million microphones all over the place. One in the tuba bell, one in the piano, etc., etc. And when you hear it in the mix, it sounded so weird to me. You had to put the balance together. And when I was standing on the podium, it sounded fantastic. So I said, if I ever start a company I’m going to do an audiophile from a one-point perspective. Like you’re there. So that’s when we developed the stereo MS mic technique. So the orchestra gets the balance and that’s it." A musician through and through, Chesky's approach unquestionably deserves commendation; it has resulted in some wonderful albums. 1. "[U]pon release [it] received criticism for its sound quality, suggesting that the Chesky label, in a quest for presenting a pure voice, allowed little or no reverb. Thus, we were told we were hearing Peg's undoctored voice. In any case, she sounds miles away from a microphone on this one." 2. "[I]f you turn up the volume to hear her more, the instruments become too loud, especially sax ... What I don't like with Moments is the recording technique. However I think Do I Love You and Always True are excellent, and some of the ballads, e.g. You're My Thrill and Then Was Then. 3. "The miking is appalling, the whole thing would have benefited greatly by editing Miss Lee's continual slurring." 4. "If you listen to Moments Like This with earphones you will hear a much better album. The sad part was that it was a studio album. The live performance at [Club 53] was the best Peggy performance I had ever seen. When they said they where doing an album, I assumed it would be live. She was in great form during that run." 5. "[T]he sound quality is a bit iffy and off. And sometimes, had I been the producer, I might have requested an additional take. For instance, Peggy's first notes on Amazing were a bit tentative as recorded, when they were more sure during her 'live' performances. Possibly by then she needed audience feedback for inspiration. She had become much more anecdotal during her appearances ... There are numerous satisfying details in Moments Like This, not the least of which are the personable, conversational elements in the title song. The brush-stroke minimalism contributes to the personal, confessional tone of the album ... 'S Wonderful has an authentic autobiographic air about it; the musing gratitude seems genuine. And Peggy's exquisite timing is still very much in evidence." The last two comments, made by Sean Connors and Kevin Koerper, are particularly savvy. Since both gentlemen saw Lee perform shortly before the album was recorded, their comments carry special weight. MusicMasters' two volumes of The Benny Carter Songbook feature nearly 20 vocalists, each singing one or two songs by the eponymous composer, musician, conductor, and arranger. Some of those singers (Carmen Bradford, Diana Krall, Diane Reeves, Wesla Whitfield) came in after they were recommended by their managers or specifically recruited by producer Danny Kapilian, whereas Carter himself appears to have requested the presence of others who were friends or favorites of his (Peggy Lee, Nancy Marano, Marlena Shaw and, especially, Joe Williams). All but one of them recorded their respective numbers either in late June (NY) or in late July 1995 (LA). According to Kapilian, "Peggy Lee, one of Carter's oldest friends, made it to the studio last of all to deliver the most fragile version imaginable of Benny Carter's I See You." In his liner notes for the first of the two songbooks, producer Kapilian further reminisces about the origins of the project: "Toward the end of 1994, MusicMasters president Jeffrey Nissim approached me with a new challenge. 'The legendary jazz altoist and arranger Benny Carter,' Jeff said to me, 'is an underappreciated songwriter. Would you like to help to bring together appropriate singers to record Benny's songs live in the studio with Benny and his group?' This was apparently a project that had been discussed for some time. I was then completing work on the album For The Love Of Harry: Everybody Sings Nilsson, an appreciation of a very different style of songwriter ... I'd never met Benny, though ... [I]n early January '95, I visited Benny at his home in Los Angeles for the first time ... This was plainly a project very close to Benny's heart. Together with his long-time friend and producer Ed Berger, and with assistance with Benny's wonderful wife Hilma, we started in earnest the task ... My requests for lead sheets of his songs yielded new ones which had never been put on paper, a few that had never been recorded, and others for which Benny wrote new lyrics." "As a first step, lists of potential vocalists were compiled and matched with lists of potential songs. A demo was prepared of new material that had never been recorded. Before contacting the vocalists, a weeding out process was undertaken. The label, Carter, and the producers proposed possible singers and eventually all parties agreed upon approximately 20 names. Danny Kapilian contacted the singers (or their managers) to work out the logistics. Carter had known some of them (Joe Williams, Peggy Lee, Bobby Short) for decades. Others he met for the first time in the studio. Because of the large number of usually highly paid performers involved, MusicMasters proposed to pay each singer a modest honorarium, plus expenses. The response was overwhelmingly positive." "The singers were each given copies of a demo cassette, along with lead sheets for one or two suggested songs. In most cases, they went along with the selections ... Three days of recording were scheduled in New York and three in Los Angeles to produce enough material for two CDs to be issued a year or so apart. Since rehearsals had not been feasible, all the arrangements had to be worked out on the spot, although Carter occasionally sketched out an intro or ending for the horns." "All the singers recorded live with the band. Apart from the occasional re-recording of a vocal passage, the only overdubbing occurred in We Were In Love, where some improvised fills between the two horns seems too busy behind the Diane Reeves - Joe Williams vocal duet. Some preferred to complete the songs in one or two takes. Others redid portions ... Bobby Short, for example, was not happy with his initial performance [and thus he asked for another take] ..."
"Carter was particularly grateful to hear Joe Williams' interpretation of I Was Wrong. Carter had written the song some 20 years earlier with Williams in mind and was visibly moved by the singer's rendition." "Carter was also very pleased that his old friend Peggy Lee was able to take part despite serious health problems. She arrived in a wheelchair with a portable oxygen tank and her own microphone. True professionalism and indomitable spirit triumphed over physical frailty in I See You, a piece that Carter had written with Kay Parker in the 1940s but which had never been recorded. Whenever Carter tried to lay out, Lee insisted that he play continuously behind her throughout the track, seeming to draw strength from his presence." "I'd say that Miss Peggy Lee is icing on the cake," added Carter himself during his Benny Carter Forever In Tune interview with Joseph Woodard, for the April 1996 issue of the magazine Jazz Times. Peggy Lee was 75 years old when she sang "I See You," her final studio recording. (A handful of additional live appearances seem to have taken place between 1995 and 1997, but there was no more studio activity.) The evocative lyrics fittingly cap Lee's long, inspired career in the world of music: "I see you, everywhere / You're a flower blooming / A rose perfuming the air. / When I hear music played / There you are in every soothing serenade. / Like a star shining bright, / Near or far, you're never out of my sight. / From the sea to the sky above, / I see you through the misty eyes of love." The New York-based audiophile label Chesky Records was set up by a pair of brothers in 1986. While David Chesky took care of the artistic and musical production, Norman Chesky concentrated on the business side of the enterprise. A composer and pianist who studied with both David Del Tredici and John Lewis when he was 17, the oldest of the brothers has been part of the recording industry since the 1970s, when his fusion-oriented group (The David Chesky Band) grabbed a one-album contract with Columbia Records. After The Rush Hour was released in 1980 without making a lasting impression, the then-twenty-years-old spent several years working as a studio musician and as an orchestrator for film and television. When he told his brother that he was ready to create their own record company, they debuted the label with a series of reissues from the Readers Digest and the RCA classical catalogues. Next they tried their hand at producing sessions, for which they leased RCA's Studio A. In late 1988, jazz violinist John Frigo became the first artist to record for the label, accompanied by John and Bucky Pizzarelli. The resulting album, Live From Studio A in New York City, was released in 1989. Sessions by Earl Wild, Clark Terry and Phil Woods followed soon thereafter. The first female vocalist to record for the label was Brazilian artist Ana Caram; she was followed by Natasha Turner, Sarah K., Laverne Butler, and, finally, Peggy Lee. Asked by an interviewer about the process of selecting artists to record for the label, David Chesky explained that "[s]ometimes people come to me, and sometimes I find them. We have a lot of famous jazz artists on this label, but we also have some other interesting artists. I believe there are two kinds of music: good and bad. I sign who I like. I often go by my initial gut reaction." Presumably, Chesky himself attended one of Lee's concert performances at Club 53. Or, otherwise, he might have extended a recording invitation after learning about the very favorable reception that her show had been earning. The exact details are not known, but a September 14, 1992 Associated Press article makes a passing reference to the subject matter. AP reporter Mary Campbell states that Lee had "just finished selling out a five-week engagement at Club 53 in the New York Hilton ... During the last week, Chesky Records gave her a contract to record the whole show." In addition to her 1992 album for Chesky Records, Peggy Lee recorded three guests vocals during the 1990s. All three guest spots were made for inclusion in albums by male performers: Michael Franks (1992), Gilbert O'Sullivan (1992), and Benny Carter (1995). In an interview for smoothviews.com (conducted by Shannon West on November 16, 2006), Franks further shared the following: "I always loved Peggy Lee. After I made The Art of Tea  and I was getting ready to go on the road, I worked with this great guitarist named John Pisano who was going to put a band together for me. I was completely green then. I’d worked as a duo and a solo, but I’d never thought of a band or anything like that. He was Peggy Lee’s musical director and he played some of my stuff for Peggy. Then he asked me if I’d like to meet her. We went up to her house one afternoon and it was just phenomenal to meet her, to meet someone I’d just idolized. Over the years I was blessed to get to know Peggy and correspond with her. She recorded one of my songs which was a thrill, and I got to have her on one of my records so I actually got to know her from that point on, which was amazing." A Robinsong was the Franks tune that Lee recorded in 1979, "You Were Mean For Me" the number that the two of them did together in 1992. That same year, Gilbert O'Sullivan also invited Lee to do a guest vocal for one of his compositions. He too had been well acquainted with Lee's work long before 1992. Or so O'Sullivan told to concertgoers during his 2008-2010 tours. The motivation for O'Sullivan's remark is a video of him and Lee that he plays for his audiences in the middle of his shows. The video features the two singer-songwriters performing his composition "Can't Think Straight," accompanied by a full orchestra. On most evenings, O'Sullivan would preface the video with the following commentary: "Cole Porter, Irving Berlin, Jerome Kern, Rodgers and Hart, Rodgers and Hammerstein. These are fantastic people, as well as contemporary people like Bacharach and David, Lennon and McCartney, Goffin and King and such ... And of course to hear those songs you have to get the interpreters, the best interpreters of those songs. And I think the best male interpreter is Frank Sinatra. Or if we place female interpreters, we're down to Ella Fitzgerald and Peggy Lee. In 1992 I had this song that I wanted to do as a duet. I didn't really want to use a contemporary artist. So I talked to Peggy. I mean I had lots of her albums not so much because I liked her; it's the fact that she was singing these great songs; she was the best [for ? __] ... So we wrote the lyric and she called us up and said, 'well, let me hear the song. If I like it, we'll record it.' At that time Peggy was 70 years of age. So when we sent her the song she called us -- yes, she liked it and she'd like to do it. So we flew to NY and recorded it ... And Peggy was quite frail. She was 70 years of age. She was in a wheel chair and she had to use an oxygen mask. That was a slight shock to us all; on the other hand, we treated her like a queen ... It was a fantastic couple of days. So because it was so special I filmed it for a video just to have for keepsake." During an earlier discussion (2000) of "Can't Think Straight" at a Gilbert O'Sullivan fansite, one of his admirers also gave the following report, which for the most part mirrors the comments made by the artist himself in concert: "[o]n a radio interview, he said that he did the song with Peggy Lee because she was one of 'his favourite female artists' and that she was 'one of the best female interpreters of songs' [; so,] he always wanted to sing a duet with her ... He says that he phoned her at her home in California, she was 72 at the time, she was very interested. So they met up in NY and 'pampered her for a few days' took her in the studio, for her part of the song and did the video." Benny Carter and Peggy Lee had known one another since the 1940s. They had been playing together in concert and in the recording studio since at least 1947. That year, she sang his composition "Lonely Woman" in a AFRS show that they did together; it might have been the very first public performance of the number. Also that year, he participated in her Rendezvous With Peggy Lee sessions, both as a sax player and as an arranger. Further work together, both in the studio and in concert, would take place in the 1950s and the 1960s. When the idea to record a Benny Carter songbook was green-lighted at MusicMasters, Peggy Lee was among the vocalists invited to do one or two of the numbers. She did one, titled "I See You," and was the last singer to make it to the studio for this particular project. According to Carter's bio-discographer Ed Berger, the musician was "very pleased that his old friend Peggy Lee was able to take part despite serious health problems."